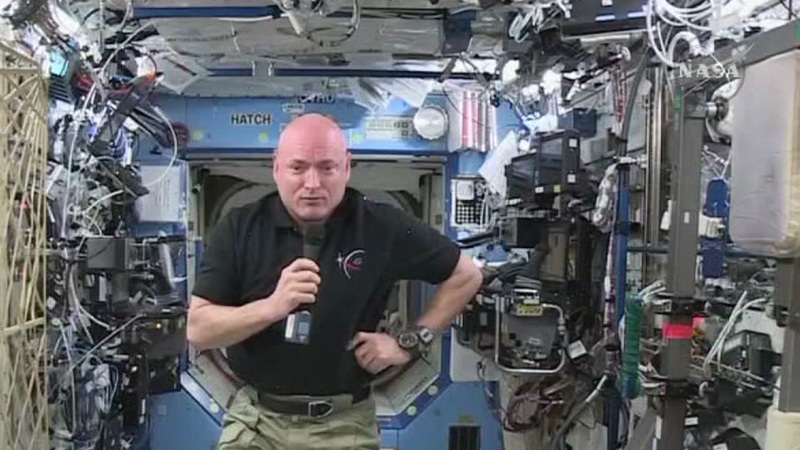 HOUSTON -- Two Americans aboard the International Space Station are gearing up for a possible spacewalk early next week to free a stalled cart. Flight controllers in Houston were moving the cart on the outside of the orbiting lab when it got stuck Wednesday. It stalled just 4 inches from its lock-down position. NASA operations manager Kenny Todd said Friday the cart needs to be securely attached to its guide rails, before any dockings by visiting spacecraft. Russia plans to launch a supply ship Monday for a linkup Wednesday. NASA's one-year spaceman Scott Kelly and the newly arrived Timothy Kopra could step outside out as early as Monday. Engineers believe a stuck brake handle is to blame. The cart is normally used to transport people and equipment.